I’m a total romantic. I think it’s important for me to be up-front about that. I crave that perfect fit, just like Monica Partridge talks about in her poems. But I understand that love is sometimes more like “you fit into me” by Margaret Atwood. I’ve been unlucky in love lately. I was gearing up for a relationship that I thought was going to be the real deal. But it didn’t work out. So I’m still looking for that special someone. Someone I can cuddle up with next to the fire and listen to Song for a Winter’s Night. I used to say “ocean/beach,” but I’ve learned I would give up the beach for some daily cuddling. 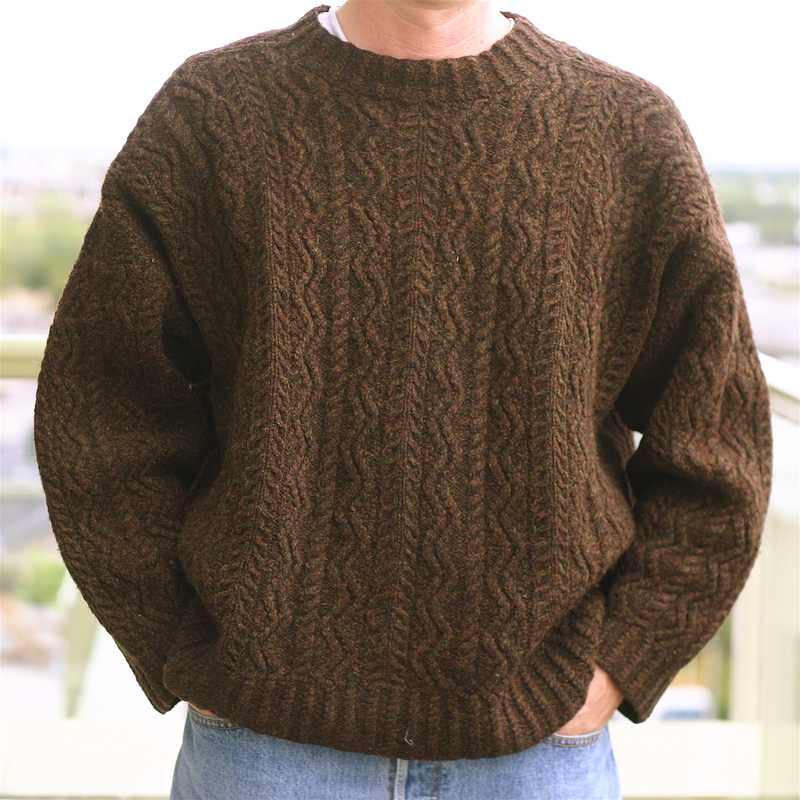 When will more men start knitting girlfriend sweaters? Is there really any such thing as a sweater curse? Is it permanent? How to keep my shape through life’s wear and tear. What would that sheep think if she could see me now? How complex and twisted life can be. Why more people don’t convert their spare bedrooms into craft rooms. You should message me if you’re looking for someone loving and fun who knows which scissors is for fabric, and which scissors is for paper. I don’t want to believe in the sweater curse, but I’m still too scared to knit my boyfriend socks. I might get him to pick yarn out when we go away together in two weeks, but even though he’s asked for them, I’m still afraid to make them – JUST IN CASE. That’s actually more of an aspirational photo. The original has been frogged. “When will more men start knitting girlfriend sweaters?” That’s what I want to know! Very, very funny! Love that the sweater thinks about what the sheep would think about if he/she could see me now. Ha! I don’t believe in the sweater curse. I’ve made a cardigan for my boyfriend two years ago and pants last year. You just need to find somebody worth it. Koen appreciates hand made gifts, knows the difference between fabric and paper scissors and also likes making stuff. Don’t give up, love is out there.